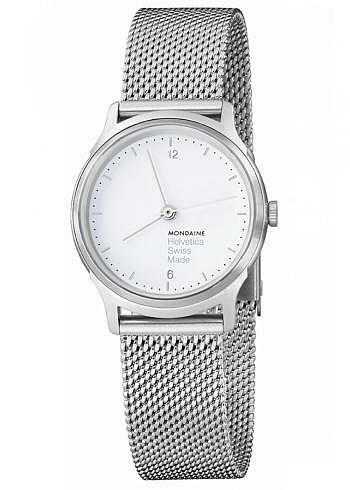 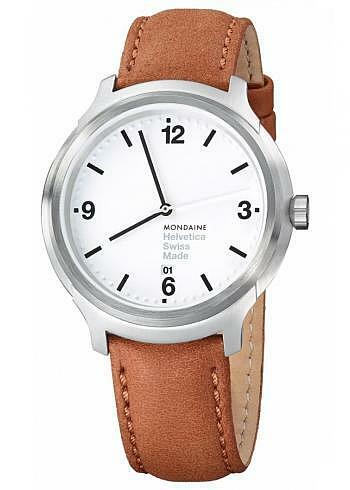 The elegant side of Mondaine. 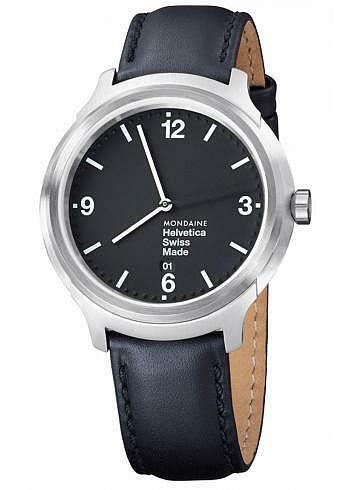 The typography of the dial is based on the Helvetica font and the Helvetica number "1" with its famous curved crossbar has been used as a model for the lugs. 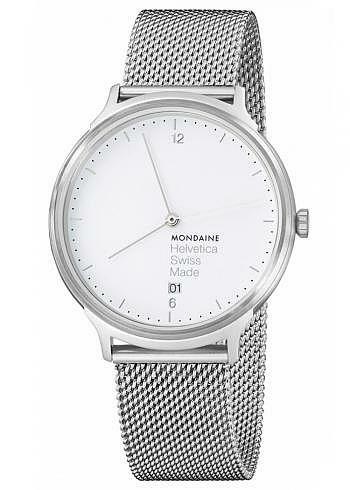 All Helvetica watches come with a sapphire crystal.